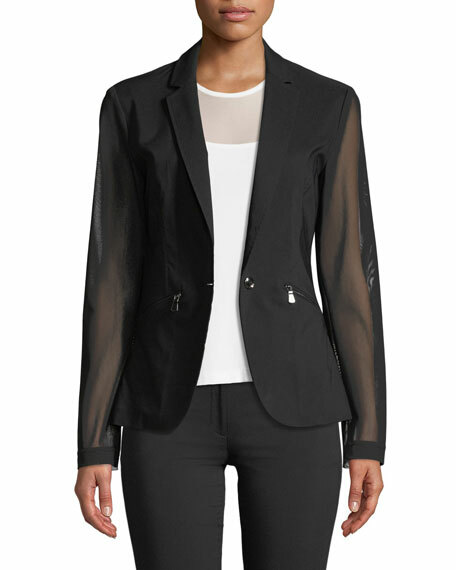 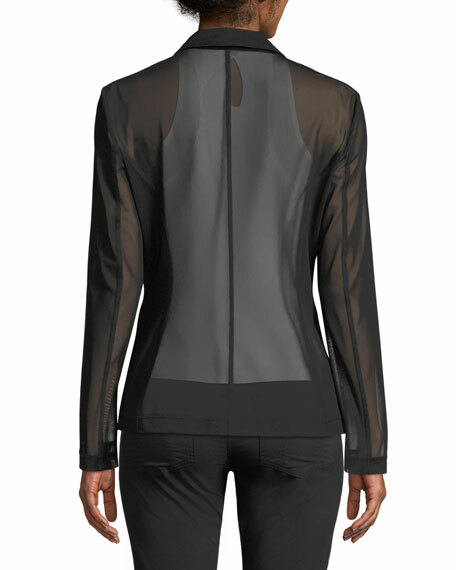 Anatomie blazer with sheer sleeves and back for airy look. 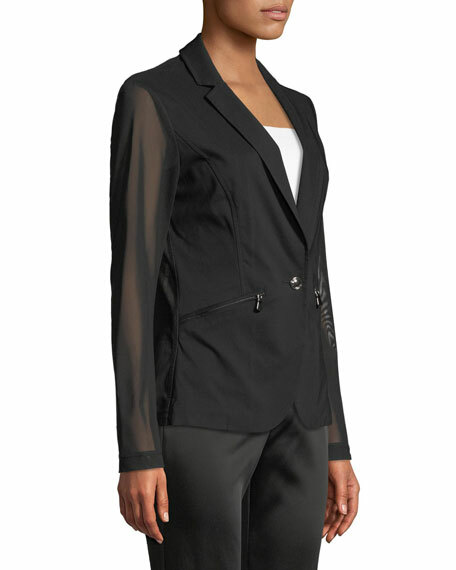 Easy care, lightweight, super stretch fabric. 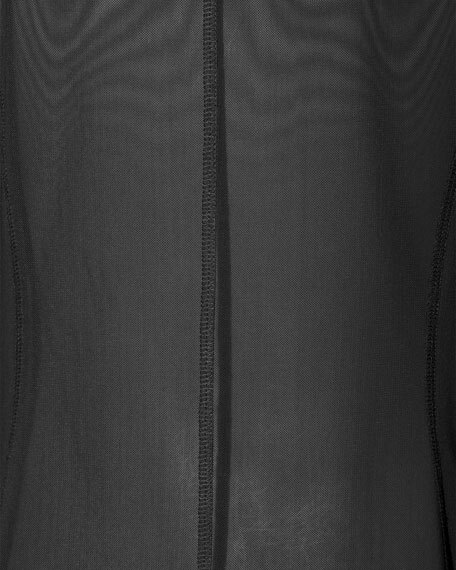 Angled zip pockets at waist. 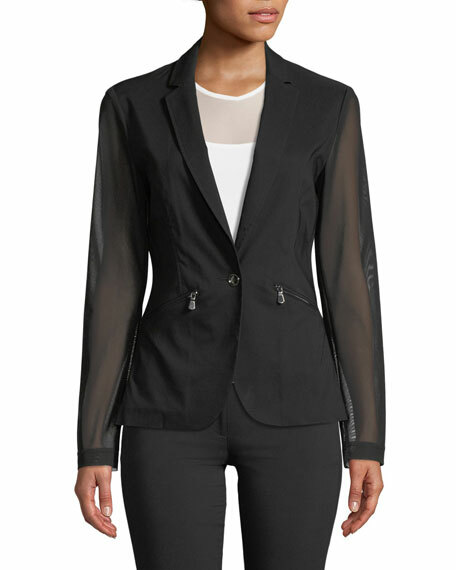 For in-store inquiries, use sku #2538673.